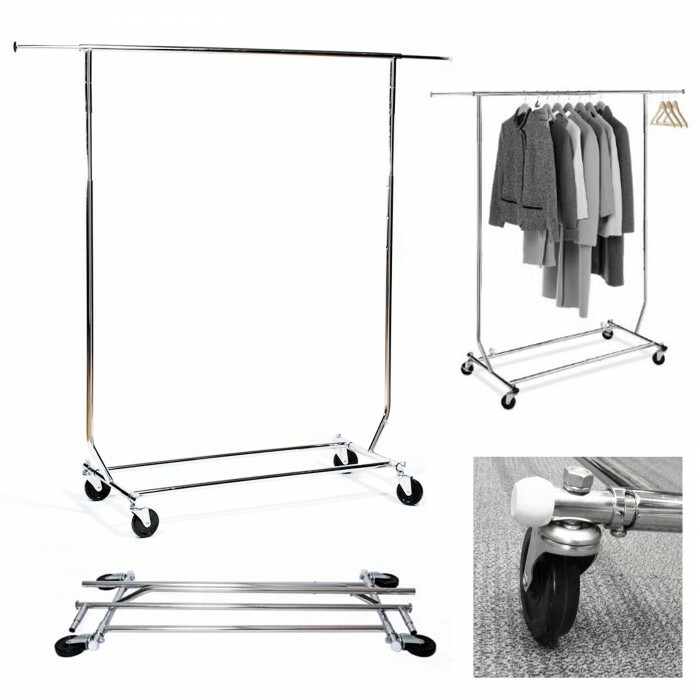 Sturdy, All Chrome Adjustable Collapsible Clothes Rail with Extending Arms. This sturdy, compact clothes rail collapses for easy storage when not required. It has two extending arms that slide in or out as required. In addition to the flexibility allowed by this width adjustment this collapsible rail also has pre-set height variations - ensuring maximum versatility of use. Easy to assemble no tools required. Rail is 122cm long and comes complete with heavy duty 75mm castors. Push button height adjustment extends from 144-168cm. Hanging bar extends by 12cm on either side.